“They were out of white.” Louise had just returned from the makeup store bearing brushes, remover, and a large tube of silver makeup. “They said silver will look just as good.” Silver? Who’s ever heard of a silver skull? I was destined to look like a piece of jewelry, not the sugar skull I anticipated. Tradition here has it that at midnight October 31, the gates of heaven are opened and souls of deceased children (“angelitos”) are allowed to reunite with their families for 24 hours. 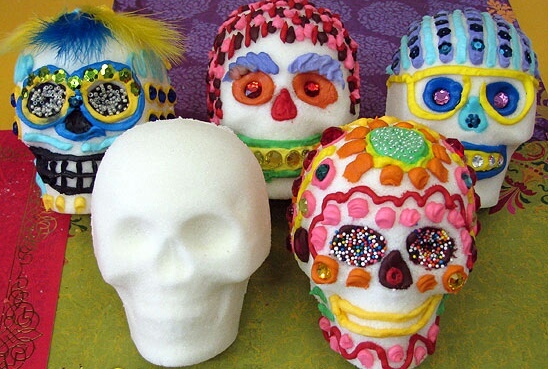 To please the angelitos, models of skulls are molded from sugar and left on the altars. 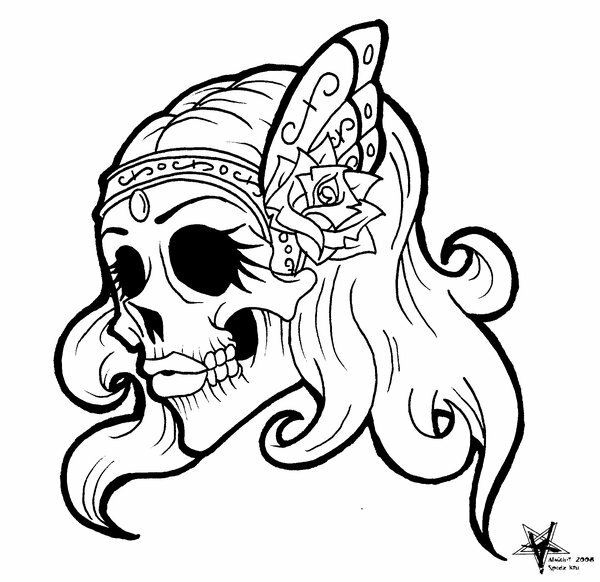 It’s also common to decorate your face with white and black makeup to resemble a sugar skull (not to resemble a zombie, as is often believed). Much of Dia de Muertos is about the angelitos. And so it was that Louise and I spent two hours painting each other’s faces, quite inexpertly, but having gobs of fun in the process. 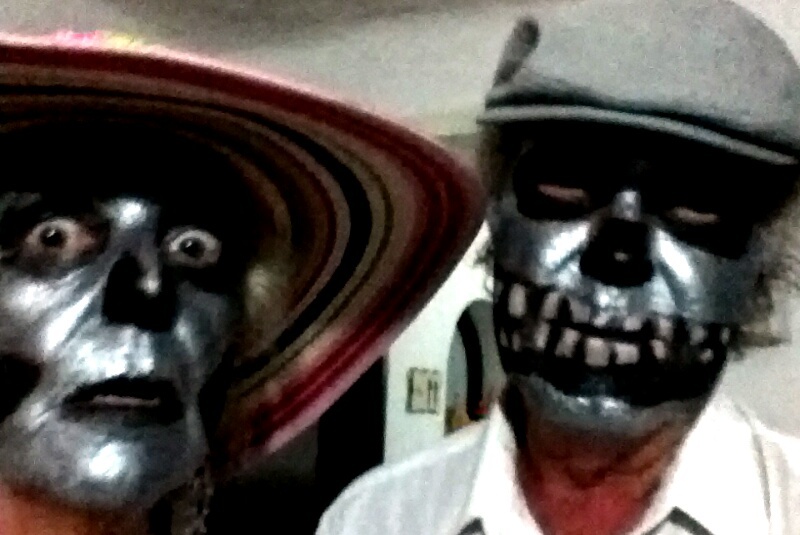 We emerged bearing resemblances to sugar skulls, only in silver, and sloppy silver at that. All decked out for town. So prepared, we headed off into town. Boarded a blue bus, made the children in the seats next to us laugh, and got off at the Malecon (boardwalk) to join the parade of fellow sugar skulls. Only there were none. 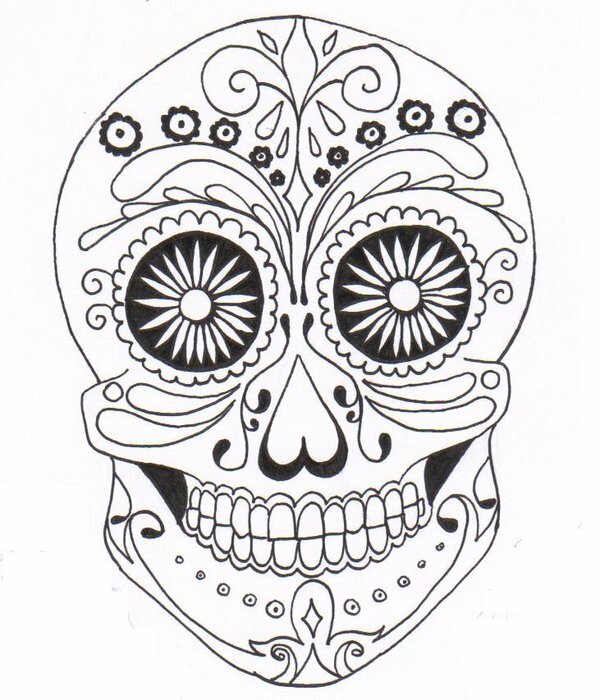 In fact, although most of Puerto Vallarta had come downtown to celebrate, hardly anyone was sporting a sugar skull. We were exceptions, not players. Louise — forever the optimist — is quick to point out that we brought smiles to the faces of scores of children. Buses passing us on the street honked their greetings. People waved, saying “¡Buenos noches amigos!” Me? I just felt like a leper. Buzzkill. We returned to the sanctity of our apartment. Scrubbed our faces. Poured beers. 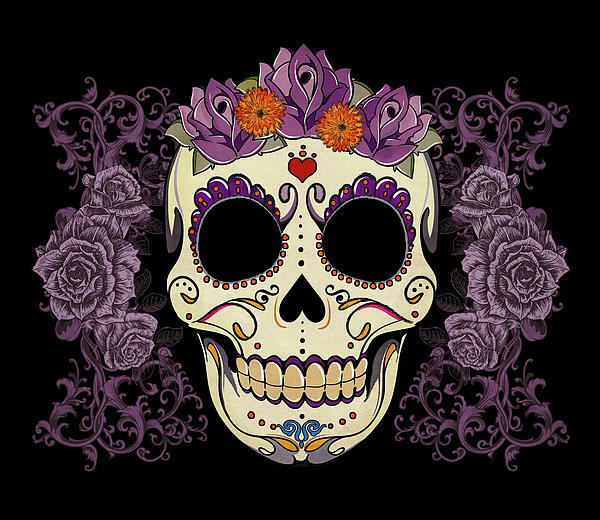 Toasted Dia de Muertos and went to bed. Next year I’ll take a happy pill. Buy white makeup before they run out. And hire a face painter. So people don’t make-up their faces and don’t wear ugly costumes on the dia de la muerte in Mexico ? How interesting !! Thank you for letting us know , even if it was at your expenses . You were brave and creative and people and children liked it !! They may still dress up and wear sugar skulls, Mapi, but we certainly didn’t find them, and PV is pretty small town. As for being brave, I thank you for the comment. LOL – you two are wonderful ! admire your spirit ! . The key does indeed seem to be buying early before they run out of white … no trick or treaters here … would have enjoyed seeing the two of you! I am unhappy to now live in a kid free zone although the ocean view does somewhat make up for it as you know. Two thumbs up for ocean views. I’m looking at one right now. How is it that can never tire of staring…? You made me laugh! Thanks . . . it’s so much fun to read these posts. Thanks, Linda. We like reading comments too! love the silver and i must say louise wins for doing your face….excellent job!!!! Well, Bettie, I’m a guy, and guys don’t have much experience applying makeup. She’s lucky most of it landed on her face rather than her arms, feet, etc. Hey! We can do it again when you get here! Lots of silver paint left over!